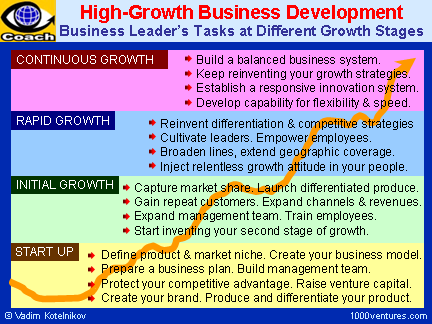 There are a variety of business development models that entrepreneurs implement to foster or augment an organization. Each stage of the development process is equally significant in the creation of a successful endeavor. Osterwalder and Pigneur (2010) describe a business model as the rationale of how a company creates, delivers and captures value (Osterwalder & Pigneur, 2010). They suggest that professional goal setting and planning are essential in developing a new venture and that an entrepreneur should foster high levels of thinking skills and an understanding in psychology in order to spearhead a successful organization. Zaharuddin (2008) established a simple business model that reduces risks in launching a new enterprise which is comprised of four stages: (1) conceptualize an idea and vision, (2) conduct extensive research to screen the idea, (3) write a detailed business plan from the data gathered in the feasibility examination, and (4) launch the business (Zaharuddin, 2008). The first stage in the development process of creating an enterprise is coming up with an idea and choosing a business. There are generally two kinds of individuals that choose to become entrepreneurs: (a) a person who is absolutely in love with the idea of starting a very specific kind of enterprise and (b) the individual who is enamored with the concept of becoming his or her own boss. The first class of business owner has a specific thought in mind, like a chef employed in a restaurant that wants to create a dining establishment, or a woman employed as a caretaker that believes she can do a better job at running a caregiving organization based on her experience and skills. The other class of entrepreneur is driven to become the leader of a venture they are passionate about with a deep-rooted desire to spend all their time engaged in doing what they love. For example, a woman who enjoys decorating cakes may decide to open her own bakery shop, or a man who just wants an excuse to spend his time loitering at the beach may create a boat rental business for tourists. The first stage and assignment of any individual who contemplates an entrepreneurship is to decide which of their passions they love enough to build their livelihood around (Strauss, 2012). Without research and preplanning, an entrepreneur risks a higher potential to fail. 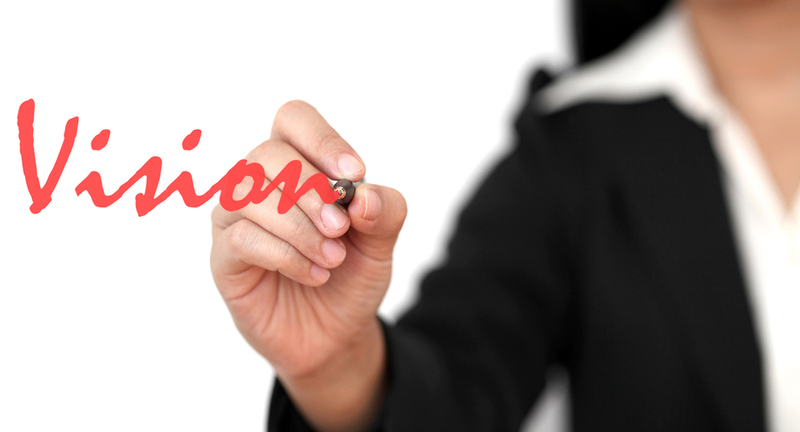 The second stage in the development of a business is thorough examination of the enterprise. An individual must comprehend their potential market by conducting research to ascertain whether it is a feasible idea and if there is a need their business can solve. Creating a feasibility study provides preliminary data that defines whether a business opportunity is practical and likely to succeed in the marketplace (Campbell, 2013). This screening stage will help identify the obstacles a business may encounter and also presents a variety of solutions that will help deliver the outcomes an owner desires. Components of the analysis should include the history of the target industry, identifying the competitors and existing customers, determining costs, examination of pitfalls and risks, what the market share is, and whether it is practical as a business (Reilly & Milikin, 1996). After conducting the research on their business idea, the third and most significant stage is composing a winning business plan. 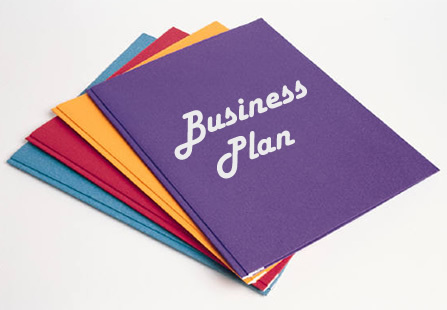 The purpose of a business plan is to create a map that outlines the details of how a business will operate which includes: (a) the revenue required to begin the venture and stay afloat, (b) identifies projected costs and sales, (c) elaborates on marketing strategies, and (d) schedules future goals. Investors and financial institutions will not consider funding a new venture unless they receive a well-written business plan. In addition, a business plan captures the organization’s culture and displays a purpose that is focused on revenue growth, bookings (leads, clients and customers), stock appreciating and internally focused metrics that are intended to drive behavior and achieve desired results (Scheessele, Scheessele, & Coppings, 2012). This displays to investors the entrepreneur’s belief and devotion to succeed. Individuals interested in getting a new venture off the ground understand that a well-researched and persuasively-executed business plan will reduce their risk of failure and helps garner support. The fourth stage is customarily the most enjoyable. After drafting a structurally sound business plan, ascertaining the funds, and realizing the prerequisites of starting a small business, launching and operating the business is the next stage. This phase requires establishing an optimum location for the business and the process of physically creating the organization. The location of the business is contingent upon the amount of foot traffic required. Businesses like warehouses or the wholesale industry for example, may have different location requirements. It is also in this stage where the entrepreneur creates their brand, products, and inventory; engages in buying; establishes the right suppliers; meets representatives; and hires staff members. For individuals that establish home-based businesses, this stage consists of implementing strategies for operation and growth, as well as determining their own compensation. Operating a business also entails decisions as whether or not to include globalization; the implementation of Green strategies; the maintenance and disbursement of revenue; bookkeeping and tax filing requirements; the hiring and firing of employees; setting up their payments, benefits, and stock options; and training, maintaining, and monitoring staff performance. 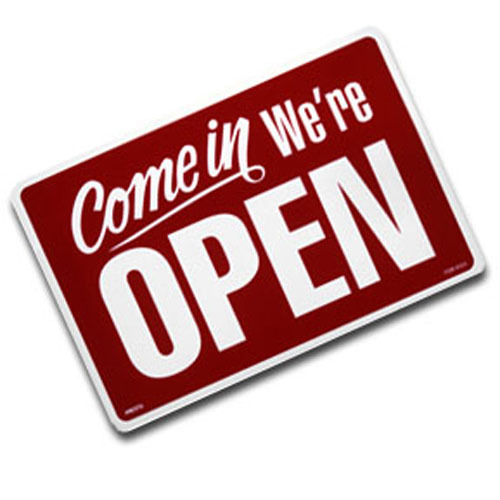 Other significant aspects of running the business are: (a) establishing quality customer service, (b) growing the customer base, (c) incorporating the right technology, and (d) coming up with the best advertising plans to help build the company brand (Strauss, 2012). Although there are a variety of business-development models that entrepreneurs implement to cultivate or enhance a company, each stage of the developmental process contributes to the success of the endeavor. Without extensive research, preplanning, and developing a sound business model that includes a business plan to outline the navigation of the enterprise, an entrepreneur faces higher risks of organizational failure. Osterwalder, A., & Pigneur, Y. (2010). Business model generation: A handbook for visionaries, game changers and challengers. Hoboken, NJ: John Wiley and Sons, Inc.
Scheessele, W., Scheessele, K., & Coppings, N. (2012). 60 Insights for mastering business development. Charlotte, NC: Mastering Business Development, Inc.
Zaharuddin, H. (2008). 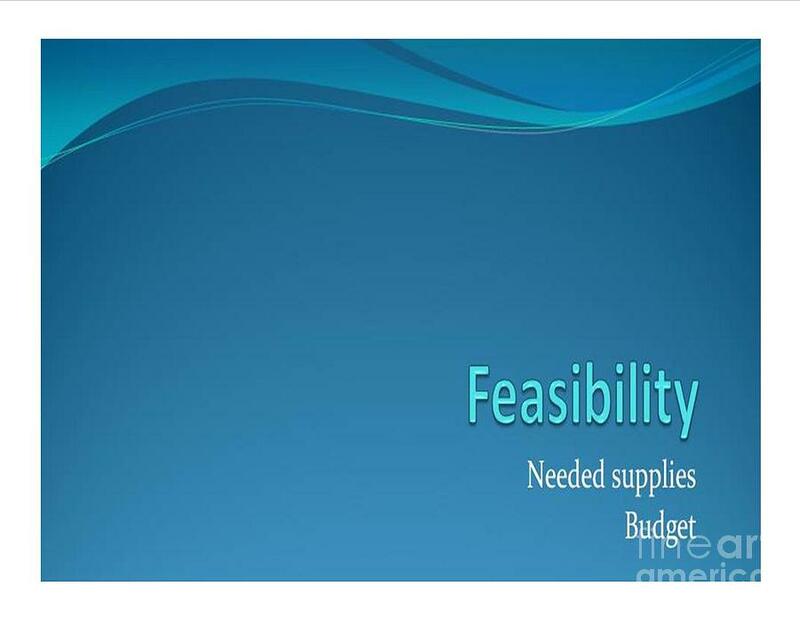 A to Z entrepreneur in practice: Business Feasibility Study. West Java, Indonesia: Dian Anugerah Prakasa Publishing.